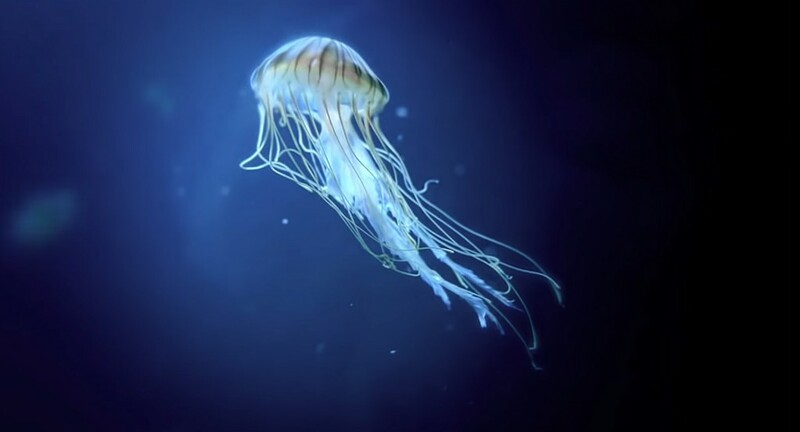 What appears to be the Japanese Sea Nettle, Chrysaora pacifica. 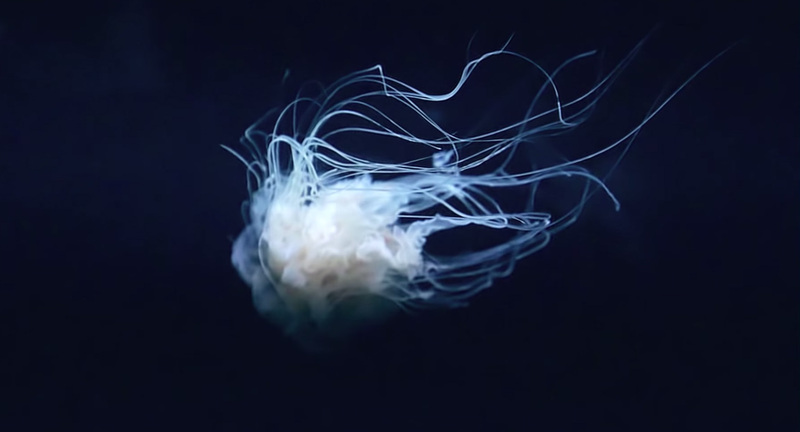 For fans of Scyphozoans, the mysterious gossamer invertebrates we call jellyfishes, here is another rapturous video from German videographer Vanessa Cara-Kerr. 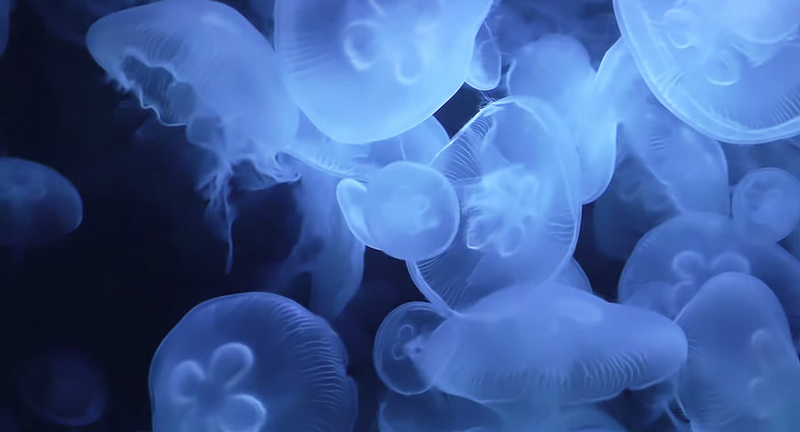 This latest production, enigmatically entitled “Glitch” (perhaps a reference to her editing style) is a compilation of footage showcasing multiple jellyfish species being bred and displayed at the Berlin Aquarium. Readers of the May/June issue of CORAL will be able to spot two popular species often kept in public and home aquaria: Aurelia aurita (Moon Jellies) and Chrysaora pacifica (Pacific Sea Nettles). 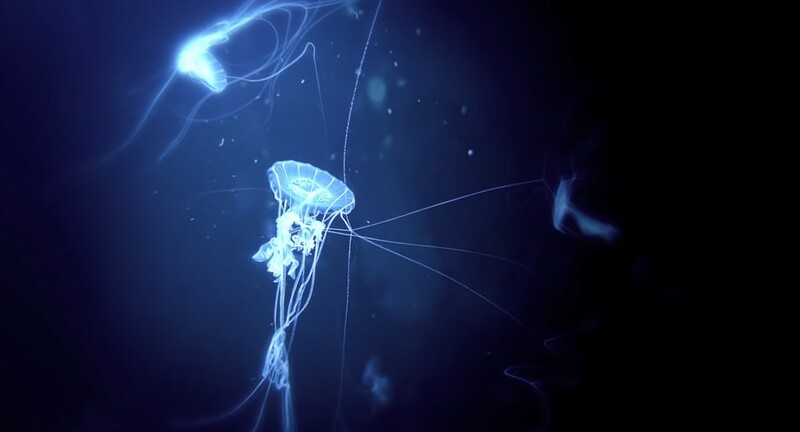 Watch GLITCH – Hypnotized by Jellyfish below (for maximum effect, use full screen and the highest quality setting). Sea Nettles with long tentacles twisting and tying themselves in knots! Moon Jellyfish, Aurelia aurita, en masse. Ethereal tentacles trail behind a jellyfish. Just wow! Not sure how we hadn’t seen this before, that footage is simply sensational, glad to stumble across this! Just wow! Not sure how we hadn't seen this before, that footage is simply sensational, glad to stumble across this!